Tinnitus is the perception of a sound in the absence of a corresponding external sound source. Research has suggested that functional abnormalities in tinnitus patients involve auditory as well as non-auditory brain areas. 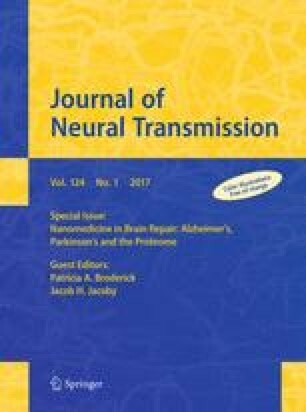 Transcranial electrical stimulation (tES), such as transcranial direct current stimulation (tDCS) to the dorsolateral prefrontal cortex and transcranial random noise stimulation (tRNS) to the auditory cortex, has demonstrated modulation of brain activity to transiently suppress tinnitus symptoms. Targeting two core regions of the tinnitus network by tES might establish a promising strategy to enhance treatment effects. This proof-of-concept study aims to investigate the effect of a multisite tES treatment protocol on tinnitus intensity and distress. A total of 40 tinnitus patients were enrolled in this study and received either bifrontal tDCS or the multisite treatment of bifrontal tDCS before bilateral auditory cortex tRNS. Both groups were treated on eight sessions (two times a week for 4 weeks). Our results show that a multisite treatment protocol resulted in more pronounced effects when compared with the bifrontal tDCS protocol or the waiting list group, suggesting an added value of auditory cortex tRNS to the bifrontal tDCS protocol for tinnitus patients. These findings support the involvement of the auditory as well as non-auditory brain areas in the pathophysiology of tinnitus and demonstrate the idea of the efficacy of network stimulation in the treatment of neurological disorders. This multisite tES treatment protocol proved to be save and feasible for clinical routine in tinnitus patients.